It’s no secret I’m a candle obsessive so today’s post is dedicated to the current candles on my wish list. First up is the English Pear and Freesia candle from Jo Malone. I haven’t actually smelt this candle but it just sounds like an amazing scent for the Spring and Summer months. I was lucky enough to get the pomegranate candle for Christmas which is amazing so I would love to add another Jo Malone candle to my collection. Next is the Bath and Body Works candle Market Peach which again I haven’t smelt but it sounds delicious. The price of this candle is very expensive in comparison to the US but seeings as they aren’t easy to find in the UK I would be willing to pay this price once to see what this candle is like. I haven’t stopped hearing great things about them and apparently they are so well scented you don’t actually have to burn them for long periods of time for the aroma to fill the room so it sounds like you can make them last a long time. Yankee Candle are a great brand because their candles are much more affordable than the more high end brands, they have a huge amount of scents available and you can get a whole host of sizes so no matter what price you’re looking to pay or what candle holders you have Yankee Candle will definitely have something to fit your needs. I do find the amount of scent their candles give off varies a lot, though. If you want the whole room/house to be filled with a particular fragrance you have to choose a strong one such as Black Cherry (It’s delicious!). A scent I’ve had my eye one for the past year or so is Garden Sweetpea which smells lovely in the jar and I think it would be perfect to burn during the day or on Summer nights. Diptyque is next on my list and is a brand I see popping up a lot in the blogging world. I haven’t actually tried any of their candles before and I do find them to be pretty pricey for the size but one day I’d like to try at least one. The scent I have my eye on is jasmine as my favourite candle fragrances are usually floral based! 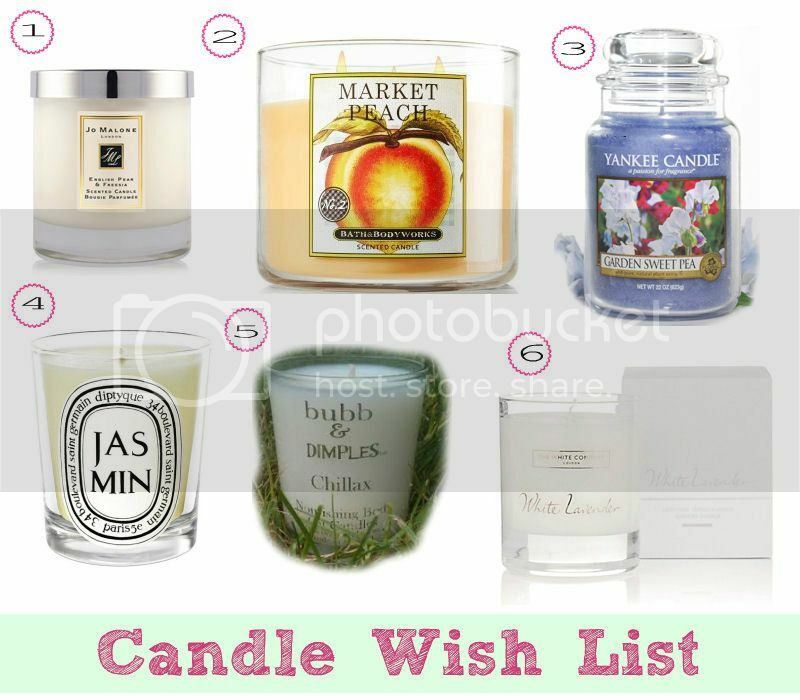 Next is a candle by Bubb and Dimples which is a brand I discovered through blogging. I’ve tried a couple of their candles but my favourite is Chillax which smells of oats and honey with a slightly floral twist. I wrote a blog post about it last year so if you want to have a read you can view it here. This candle smells delicious and I’m really missing it. Last but not least is the White Lavender candle by The White Company. Lavender is one of those scents you either love or hate and personally I love it. I find it fresh and relaxing and if this candle is anything like the geranium one I recently tried (review) the scent will linger for a long time too. What do you think of my wish list? I love candles! Great list. 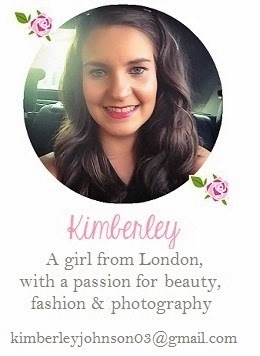 Kim, I love your blog and I am candle obsessed too. I wanted to mention that sometimes I have trouble reading your pages because the line spacing is so tight on the words. It might just be my computer but I wanted to mention it.